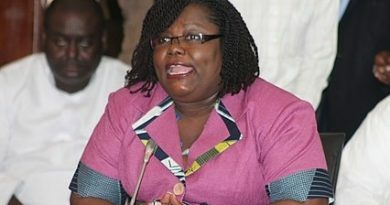 Gender Ministry to Disburse GH¢8million as AUGUST LEAP Payment. The Ministry of Gender, Children and Social protection has announced the 38th cycle payment of the Livelihood Empowerment Against Poverty to about 150,000 households in 184 districts. The payments scheduled to begin Monday, 28 September, 2015 will see a total of GH¢8 million disbursed among beneficiary households. Announcing the start of the August payment at a press conference today in Accra, the Minister for Gender Children and Social Protection, Nana Oye Lithur explained that the increment in the LEAP Money will take effect in the 38th cycle payment. With the increment one member household which received GH¢ 48.00 previously will now receive GH¢64.00. Two member households which received GH¢ 60.00 will receive GH¢76.00 while three member households will get GHS 88.00 from a previous of GH¢ 72.00. Four or more member households will now be paid GHS 106.00. Mrs. Lithur noted that the Ministry is on track to reaching the 200,000 beneficiary household mark by December this year. This will translate into at least 800,000 individuals. The Gender Minister hinted that in order to further strengthen the programme her Ministry will conduct a national evaluation exercise next year to assess its impact, adding that LEAP is now an autonomous programme and agency under the Ministry of Gender, Children and Social Protection. 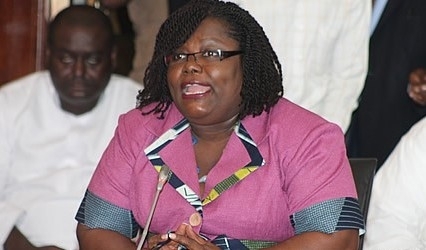 Nana Oye Lithur further revealed that payment to beneficiaries of LEAP 1000 will also begin next week. A total of Six thousand and six (6006) beneficiaries in three districts in the Upper East and seven districts in the northern region are benefitting from this programme. LEAP 1000 is targeted at pregnant women and children less than two years old. Its main aim is to tackle malnutrition and eventually prevent stunted growth. In 2008, Ghana launched its flagship Social Protection Intervention, the Livelihood Empowerment against Poverty (LEAP) programme. The programme currently administered by the Ministry of Gender, Children and Social Protection, aims at providing a safety net for the poorest and most marginalized groups in Ghanaian society, notably the bottom 20% of the extreme poor in Ghana. The Ministry has so far done 37 payment cycles as at June this year. A total of about ninety thousand (90,000) beneficiary households in 144 districts were paid their social cash grants in June this year.